RIO BRAVO, Tamaulipas — Cartel gunmen continue their gruesome executions in this border area as part of a territorial war. 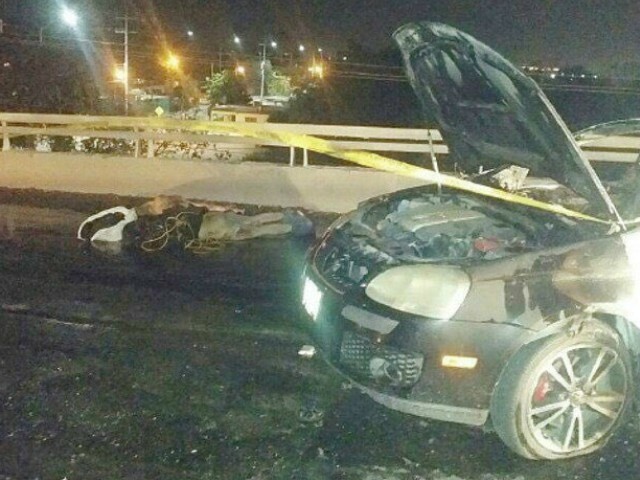 In one of the most recent cases, they dumped the bodies of two tortured victims and set a vehicle on fire to attract attention to threatening narco-messages left behind. 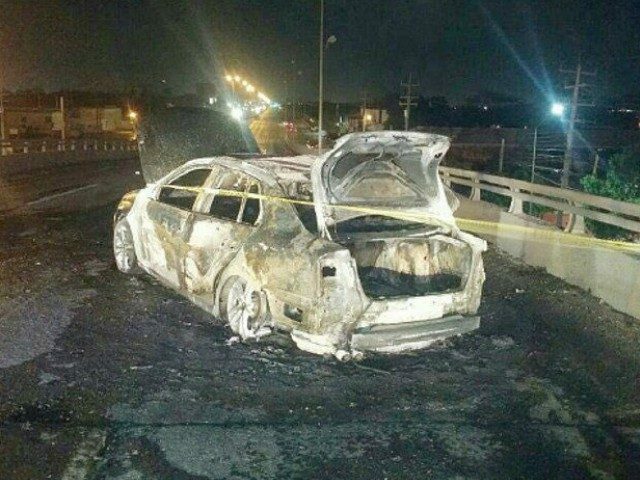 The execution took place in Rio Bravo before Mexican authorities responded to a highway overpass where a white Volkswagen Jetta was on fire. When emergency crews responded, they found the bodies of two men and a poster-board with a cartel message. The two male victims were described as having a slim build, showing obvious signs of torture, and apparent gunshot wounds to their faces. 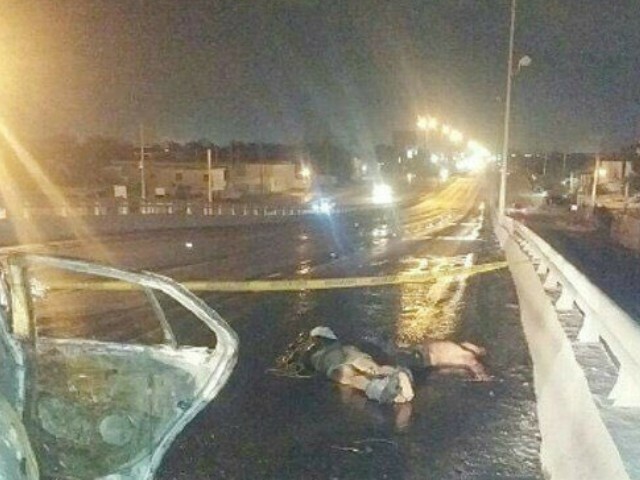 The two victims are part of the ongoing wave of violence that continues to take hold of the border cities of Rio Bravo and Reynosa. As Breitbart Texas reported, the bloodshed is tied to an ongoing war for control of the region between two rival factions of the Gulf Cartel. The escalating violence is leading to daily shootouts in Reynosa where cartel gunmen recently performed ambush attacks on Mexican state police officers deployed for Holy Week and Easter. Editor’s Note: Breitbart Texas traveled to the Mexican States of Tamaulipas, Coahuila, and Nuevo León to recruit citizen journalists willing to risk their lives and expose the cartels silencing their communities. The writers would face certain death at the hands of the various cartels that operate in those areas including the Gulf Cartel and Los Zetas if a pseudonym were not used. Breitbart Texas’ Cartel Chronicles are published in both English and in their original Spanish. This article was written by “J.A. Espinoza” and A.C. Del Angel” from Tamaulipas.